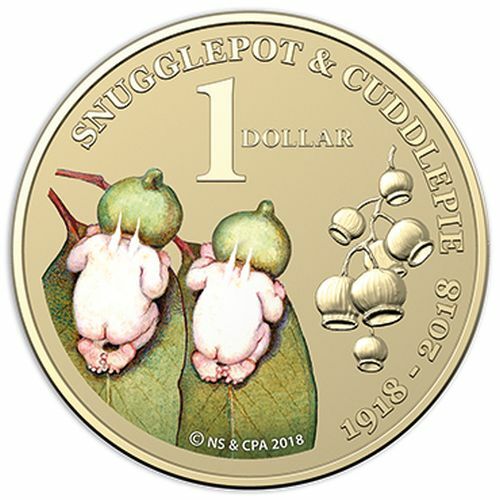 To celebrate the centenary of two icons of Australian childrens’ literature, the Royal Australian Mint has released a set of two coloured $1 coins from The Tales of Snugglepot and Cuddlepie by May Gibbs, and The Magic Pudding by Norman Lindsay. Both published in 1918, these characteristically Australian books still delight readers. 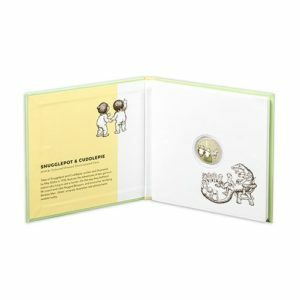 Everyone who treasures the classic stories will love this set, presenting the lively characters from both books. The Snugglepot and Cuddlepie coin features the original watercolour frontispiece from The Tales of Snugglepot and Cuddlepie. 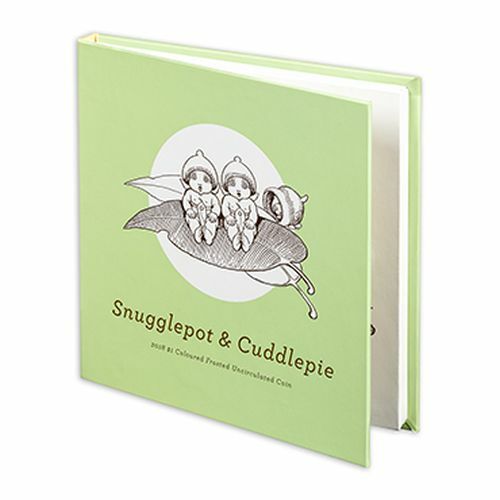 The coin sits inside a beautifully illustrated slipcase showcasing further original pen and ink illustrations created by May Gibbs for the Snugglepot and Cuddlepie stories. 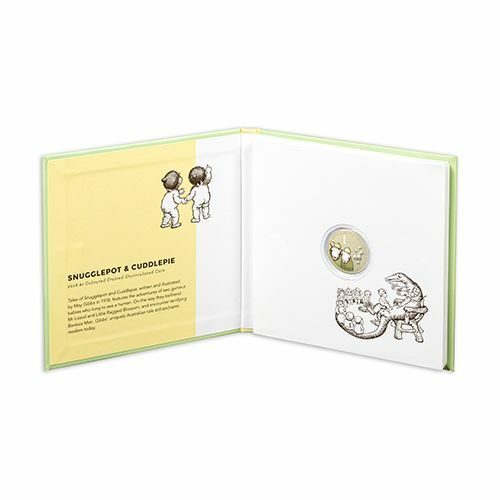 Presented alongside The Magic Pudding coin, this commemorative coin set is a wonderful centenary celebration of two iconic Australian stories from two iconic Australian authors and artists. Purchase the Treasured Australian Stories coin set online HERE.